We are not wrong if we call today’s generation as the beard generation cause everyone loves to have a healthy beard. Long & stylish beard is a fashion for those who have it and a problem for those who can’t be able to grow it. Nobody can expect thick & healthy beard overnight; It needs proper care & regular nourishment. To fulfill that purpose the best beard oils are invented to nourish facial hairs with ingredients that promote hair growth and make them more comfortable, healthy, & sweet-smelling. 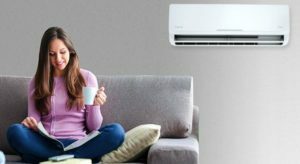 When we say comfortable, what does that mean? Try rubbing your hand on your face. Feels uncomfortable? Cause nobody likes that spiky & hard hair feeling. That’s why you need to treat your beard with proper care to make it soft & comfortable. A beard oil will make the facial hairs softer than ever and make it easier to style them. Not only beard it also nourishes the skin underneath to prevent itchiness & grow more hairs around that. It’s the primary grooming product that a man needs in his daily routine, doesn’t matter he wants to keep the long beard or short. 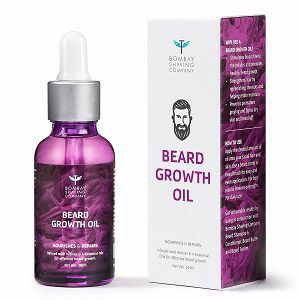 After knowing all the benefits of having Beard oil, one must know its core ingredients and its benefits to choose the right beard growth oil as per their skin or beard types. Many beard oil brands also use chemicals and parabens to better the effectiveness but try to avoid buying such ones. Cause they can harm your facial skin more than the benefits, so, be careful with the ingredients used. Essential oils are the most natural form of oils derived from leaves, bark, and roots of plants. Each essential oil has its own benefit depending upon its properties & source of origin. If applied directly on the skin can cause some form of irritation or itchiness. That’s why they mostly used with carrier oils that used to carry the essential oils and make them safe to apply on the skin. Vegetable oils are used as carrier oils such as avocado or coconut oil, you’ll find them in the ingredients list of many beard oils. One must know the benefits of each essential & carrier oils to get the right combinations for themselves. 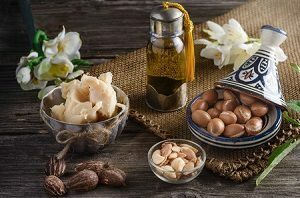 Argan oil – It’s suitable for all skin types, reduces dry patches and even beneficial in reducing acne. It’s enriched with omega acids, vitamin E, and linoleic acid. Jojoba – It’s a good skin & hair moisturizer that helps in controlling acne, psoriasis, sunburn and chapped skin. Rosehip – Rosehip oil is full of vitamins, antioxidants and essential fatty acids that are supposed to cure dark spots and hydrate dry, itchy skin, & scars. Thyme Oil – Thyme oil has many antiseptic, antibacterial, antispasmodic, hypertensive properties which are good for skin underneath beard if appropriately used with other carrier oils. Is there any artificial scent? Make sure the beard oil doesn’t have any synthetic additives that add artificial scents to the product. We know smelling nice is a must for a guy but that should be done using natural oils because they also have some sweet fragrances. There are many natural oils such as tobacco, cedarwood, etc. that was used to add smoothing fragrances to the beard oil. Practically it just smells once when you apply it after that it becomes natural. Still, if you’re not familiar with aromas, you can also search for fragrance-free beard oil. 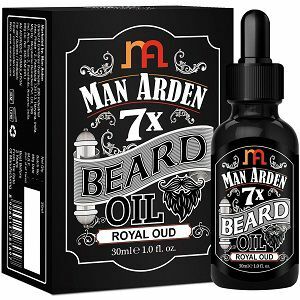 Apart from these facts always check the brand reputation before buying any beard growth oil, cause nowadays there are dozens of new beard oil brands that are not much effective in growing beard or mustache. 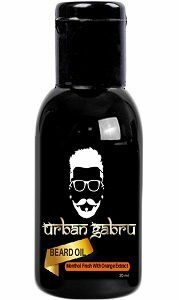 Urbangabru beard growth oil made from the right combination of argon oil, jojoba oil, sunflower oil, almond oil, orange oil and menthol. It’s the most effective beard oil to grow facial hairs & reduce patchy beard problem which is most common in the youth. It makes your beard Mess-free, itch-free and easy to control. Which means It’s also good for underneath skin and prevents any kind of irritation or itchiness due to beard. If applied correctly it will reach the pores of the skin and promotes hair growth. 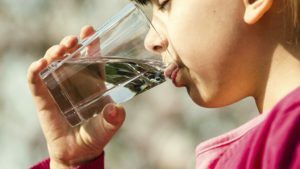 For best results you should use the oil after cleaning the face with warm water, to know more read the usage guide given at the end of the post. 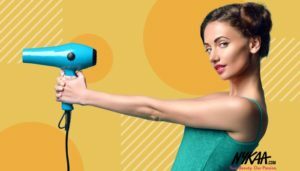 No doubt Urabangabru is the leading Men’s grooming product brand which always comes up with natural ingredient products to give the best results with no side effects. Ustraa has the bestsellilng product in the market with its 8 Natural Oils formula to give benefits of all. 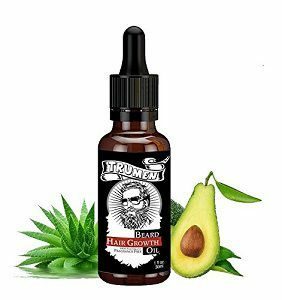 It is enriched with Argan Oil, Almond Oil, Avocado Oil, Castor Oil, Acai Berry Oil, Olive Oil, Gooseberry Oil, Watermelon Seed Oil to provide proper nourishment to beard hairs. The ustraa beard oil is capable of repairing damaged hair and reduce breakage. The vitamin E helps in strenghening the hair follicles to prevent any loss of hair. Considering all these benefits It’s always good to go product If someone wants a healthy looking beard with good texture. They should try this Ustraa beard oil at once. TruMen is one of the fastest growing Men’s grooming product brand that always satisfies his customers with its unique but effective products. The TruMen beard oil is made from 100% organic components using cold press technology; It doesn’t contain any synthetic additives. The TruMen Oil is made using jojoba, rose hip, Moroccan argan, grape seed, and coconut with a touch of cedar and mandarin as core ingredients. 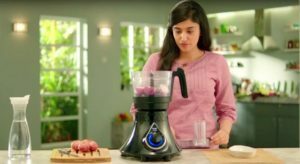 It uses grape seed and coconut which is unique, and we didn’t find that in the other oils. If you love that pleasant smell of them, you must try it at once. Along with these essential oils It is also enriched with vitamin E content, which helps in repairing damaged hair follicles and make the beard look more healthier & dense. Check out some of its key specifications below. It’s one of the few beard oils that comes in various scent flavors range; which are dark age, medieval, old world, and renaissance but all are made from natural oils & organic ingredients. One has the option to choose among various variants, but it’s not practical to know the fragrance of all before using them. That’s why one should opt for the one which is most popular than others. Old World is clearly a winner here with its such positive reviews. Its formula is designed in such a way to give provide proper nutrition to the beard & skin and promotes healthy beard growth. If you’re struggling in growing beard in your 20’s then you should try this to see fast results. Loves coffee? Then you’ll love this premium beard oil too. 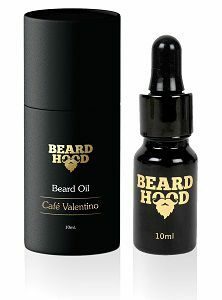 It comes in cafe Valentino fragrance which continuously gives you the smell of coffee beans when you apply it; whereas it has other variants also but this one is the most popular. I like the kind of container packing with blackish looks, gives a complete premium product feel. It’s made from whole natural plant extracts using jojoba oil, argan oil, rice bran oil, olive oil, vitamin e, and other essential oils, which are handpicked from various regions such as Indonesia, Italy, and Morocco. Beardo is one of the oldest grooming product brands of its kinds. Since then, It was founded in 2015; they always try to solve men’s grooming problems with their natural products. Having less beard hair or patchy beard is one of the major issues for teens or early twenties guys. 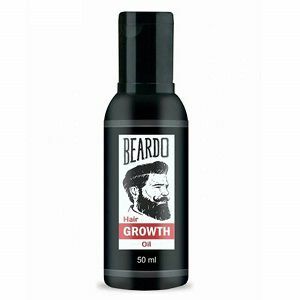 So, they come up with beard growth oil to give natural growth to beards with little efforts. It’s consist of Hibiscus, Amla, Coconut, Sesame, and vitamin b6 to renew and re-energize hair production. The Beardo oil is designed to Condition, smooth, moisturize beards and mustache soft, manageable and frizz free. It comes in the 50ml pack while most of the other brands give 30ml packaging. So, always keep in mind that factors also, perhaps we recommend buying a smaller size to test the beard oil effectiveness with your skin. 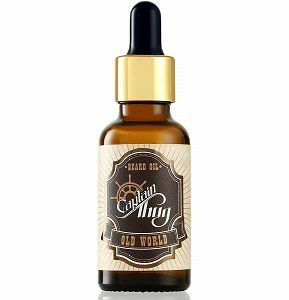 It is one of the lightest beard oil in the market which ensures no itchiness on the skin at all. As it clears by its name, it’s made from the combination of seven ingredients to provide every kind of nutrients which your beard needs. It comes in a wide range of flavor options which allows you to choose from your favorite fragrances. It looks really promising and worth to give it a try if you’re fed up using other beard oil that doesn’t work. 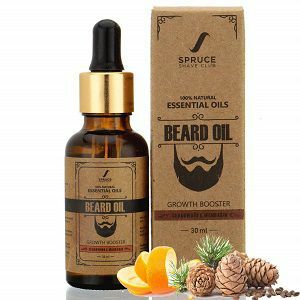 If you love to try new products to give it a change or provide a different kind of nutrition to your beard than must try this beard oil by Spruce shave club. Change is necessary because our beards also need nutrients of every sort and using the same oil since years doesn’t help much. 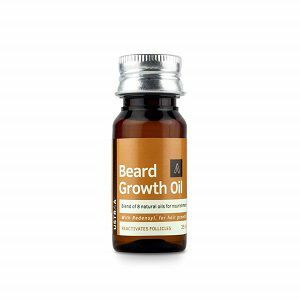 It is rich in Vitamin A, B, E, K, Omega 9, 6, 3 & Linoleic Acid which help increase blood circulation to face and assist in stronger and faster beard growth. 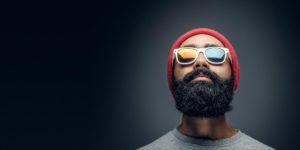 When it comes to beard oil brands the list is never ending because with the introduction of new brands every year the market becomes competitive. It’s always good from the customers perspective to have a wide range of options in the market to get the best product at a lesser price. 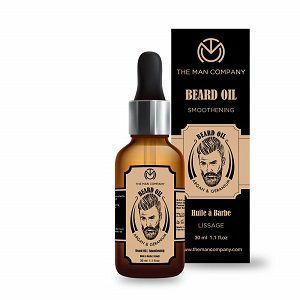 The man is another such brand of beard oil which helps in getting long & groomed beard to look stylish. 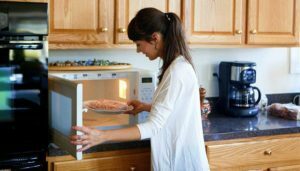 But for the best results, you should apply that regularly each day as suggested by the manufacturer. Bombay shaving company is one of the few beard oil brands that claim to reduce the occurrence of pimples and acne, with improvement in growth of beard hairs. It’s a kind of good options for guys who have acne problem on their face. It helps them handling both issues at once. When you want to grow a beard like a pro, just buying one for yourself doesn’t make any miracles. To get the best results in the least time, you have to apply it regularly in a proper way. Here we have listed a few tips that you should be aware of if you want to use beard growth oil in future. Always wash the face properly before applying beard oil, especially if you’re at the primary stage of growing beard. It opens up the pores of the skin so that your skin will absorb the oil effectively. Apply the oil regularly on your beard area, avoid application on other skin areas. 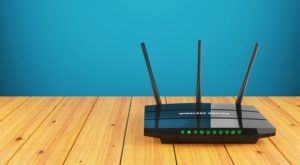 Now, what’s differ in that everyone knows they should apply it periodically but the thing is how many of them will be actually able to execute it. Fix a time from your busy schedule when you’ll be able to give time mostly and set “To do” or any notification app alert so that it will remind you at the right time and your beard never miss its nutrition. Select the appropriate amount as per your beard current size. Most brands recommend two drops for small beard holders and 4-5 drops for long beard holders. Hope you have covered all the points mentioned here and got the right beard oil for yourself. Let us know which one you choose and how much useful it was to improve beard density.